A paper published today in Science finds "the climate system can be highly nonlinear, meaning that small changes in one part can lead to much larger changes elsewhere." "Some proposed mechanisms for transmission of major climate change events between the North Pacific and North Atlantic predict opposing patterns of variations; others suggest synchronization. Resolving this conflict has implications for regulation of poleward heat transport and global climate change." "When the climates of the more local high-latitude Pacific and Atlantic sectors varied in parallel, large, abrupt climate fluctuations occurred on a more global scale." 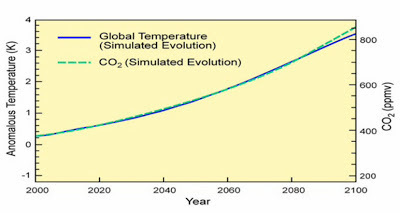 One of many examples would be the interactions of the Pacific Decadal Oscillation [PDO] and the Atlantic Multidecadal Oscillation [AMO], which are sometimes aligned in the same positive phase to produce abrupt global warming, sometimes aligned in the same negative phase to produce abrupt global cooling, and sometimes in opposite phases which "cancel" their net global effect. 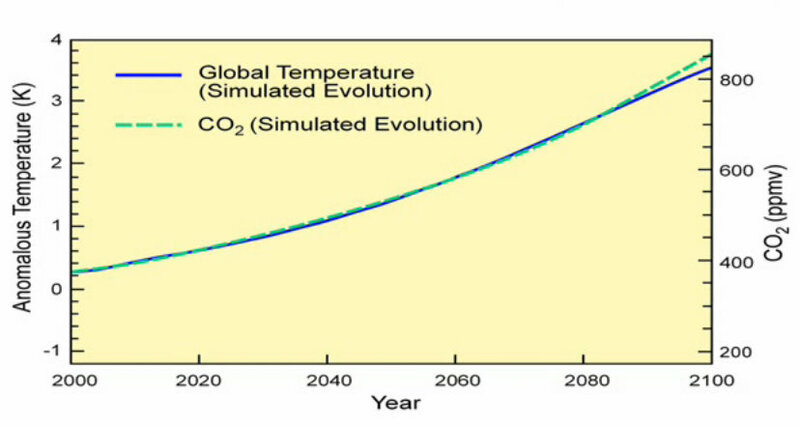 Needless to say, modeling the "highly nonlinear" and chaotic global climate system using a linear function of a single independent variable - CO2 - is nonsense and an essentially worthless exercise. Damaging the entire global economy and basing policy decisions upon such models is pure insanity. The regional climates of the North Pacific and North Atlantic fluttered between synchrony and asynchrony during the last deglaciation, with correspondingly more and less intense effects on the rest of the world, researchers have found. The climate system can be highly nonlinear, meaning that small changes in one part can lead to much larger changes elsewhere. This type of behavior is especially evident during transitions from glacial to interglacial conditions, when climate is affected by a wide variety of time-varying influences and is relatively unstable. Praetorius and Mix present a record of North Pacific climate over the past 18,000 years. When the climates of the more local high-latitude Pacific and Atlantic sectors varied in parallel, large, abrupt climate fluctuations occurred on a more global scale. Some proposed mechanisms for transmission of major climate change events between the North Pacific and North Atlantic predict opposing patterns of variations; others suggest synchronization. Resolving this conflict has implications for regulation of poleward heat transport and global climate change. New multidecadal-resolution foraminiferal oxygen isotope records from the Gulf of Alaska (GOA) reveal sudden shifts between intervals of synchroneity and asynchroneity with the North Greenland Ice Core Project (NGRIP) δ18O record over the past 18,000 years. Synchronization of these regions occurred 15,500 to 11,000 years ago, just prior to and throughout the most abrupt climate transitions of the last 20,000 years, suggesting that dynamic coupling of North Pacific and North Atlantic climates may lead to critical transitions in Earth’s climate system. Interesting web site. I offer the following in support of the view that the oceans are the key to climate. The Earth's albedo is 30%, mostly a result of the land masses that reflect visible light from bare land and ice / snow. The surface of the oceans does reflect sunlight, mainly as glint. However, most of the energy that reaches the oceans is absorbed. You can see that most of the energy that enters the oceans is absorbed by examining multi-band satellite images. Some visible light is reflected. But many of the infra-red images are blank. You can use the IR bands to define the coastlines of continents. Energy is absorbed by the oceans but little or no IR is emitted until you get to the thermal IR. The situation is different on land where most visible light is 1. reflected, 2. absorbed by plants, or 3. re-emitted in the near-IR and middle IR. The oceans not only have a higher hear capacity than the atmosphere but also have a higher energy absorption capacity per square meter. More energy is trapped per square meter of water than in trapped by the optical properties of CO2 over land. What's more, the oceans account for 70% of the Earth's surface, which further reduces the potential for CO2's optical properties to trap energy. I conclude therefore that most of the absorption of solar energy by the biosphere occurs directly as a result of capture by the surface (plants and water) and not by re-emission as IR from the land and sea surface as a result of mediation by greenhouse gases.